What can you do with forty days? With that kind of time, you could binge watch 2,618 sitcom episodes (without commercials). Or you could read 192 books (assuming three hundred pages per book at one page per minute). You could write a book. Or drive across America, coast-to-coast (2,700 miles at an average speed of sixty miles per hour) . . . twenty-one times. Obviously, these figures are inflated because they assume you aren’t sleeping, but you get the point. You can accomplish a lot when you’ve got forty days and a dream. What can I do with forty days? Who can I become in forty days with God’s help? When you wake up on Easter Sunday, will you be a different person than you are right now? Will you be closer to or further away from the-best-version-of-yourself—or about the same? Join me for BEST LENT EVER. I am excited for our journey to begin. If you haven’t signed up yet, I invite you to do so now. 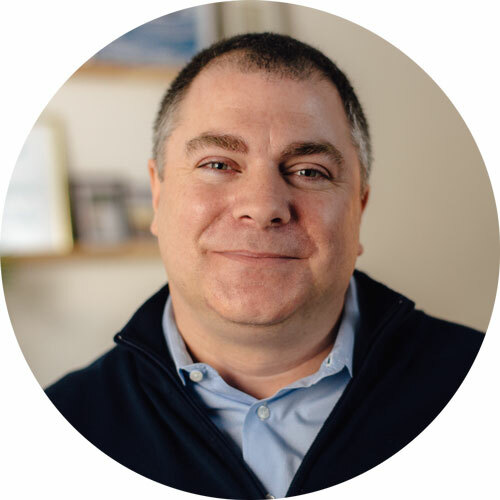 Each day from Ash Wednesday to Easter Sunday, you’ll receive a short video with inspiring content based on my new book The Biggest Lie in the History of Christianity. 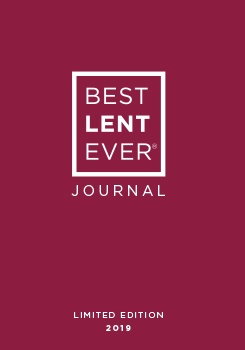 To go even deeper, check out our 2019 BEST LENT EVER Journal for more opportunities to reflect and grow in your faith. Don't just give up chocolate for Lent. Discover what you can do in forty days. I look forward to finding out with you. Enhance your experience of the 2019 BEST LENT EVER email program with this limited-edition journal! Ash Wednesday is just around the corner. But no need to finish up all your chocolate, because you will be growing with our daily diet of BEST LENT EVER messages. This may be our best BEST LENT EVER series, too. 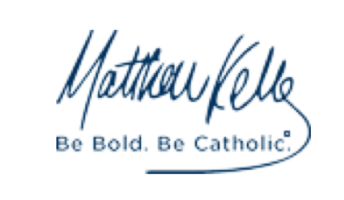 The daily messages will be based on Matthew Kelly’s latest book, The Biggest Lie in the History of Christianity. Want a very happy Easter? You know what to do: participate in BEST LENT EVER daily. What are the two divisions of the Bible? How many books are in the Catholic Bible? What fourteen books can give us a pretty complete chronological history of the Bible? Which came first: the Church or the Bible? Which book of the Bible does not mention God? If you could be with Jesus at any time in his life, what time would it be? Why? What is your go-to sentence or mantra from the Bible? I just came across a great introduction to the Bible: Scripture and Its Interpretation: A Global, Ecumenical Introduction to the Bible (edited by Michael J. Gorman). Its twenty-four chapters are written by various contributors, much like the Bible itself. But don’t get so caught up in the commentary that you again do not have time to read the Word of God in preparation for recognizing Jesus, the living Word of God. Daily reading of God’s holy Word can bring us to many Holy Moments. If we put garbage into our lives, we get garbage out. If we put God’s Word into our lives, God’s love comes out. From the Greek: Byblos, meaning "scroll,, or Biblion, "book"
As I continue my discernment of the priesthood, know that I will be praying for you. I have been accepted to seminary, and I have until June to be fully prepared to enter. Now the ball is in my court. I am working through some challenges in my life, and I continue to move forward after the loss of my wife Chrissy. When I got involved with BEST LENT EVER at Dynamic Catholic in February 2018, I never thought I would be here today. Have I always wanted to be a priest? YES! But after I was widowed, I wasn’t thinking about the priesthood. And when I did think about it, I figured I was too old. If I could do ANYTHING, what would I do? I think in all honesty I would want to be a priest! 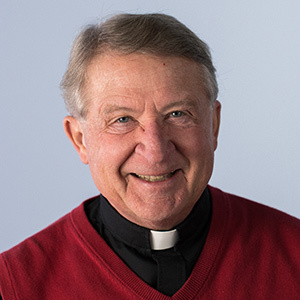 A priest who writes books about the Rosary and speaks at different parishes and places sharing the Rosary. Before I ever thought about getting married, I wanted to be a priest. My mom and I always prayed about what our Lord really wanted me to do. In the end I wanted to be like my dad, and I really wanted my own children, lots of them. I am truly passionate about Jesus my Lord, and I know I do serve him fully now. But wow! How amazing would it be to be a priest on the altar bringing Jesus to others through the Eucharist? I truly love the Mass with all my heart. The positive response to my comment on BEST LENT EVER was amazing and overwhelming. I am still getting support and encouragement from so many of those amazing new friends of mine from BEST LENT EVER. It feels like a confirmation that I am heading in the right direction. I am seeking God’s will and direction in my life, now more than ever.